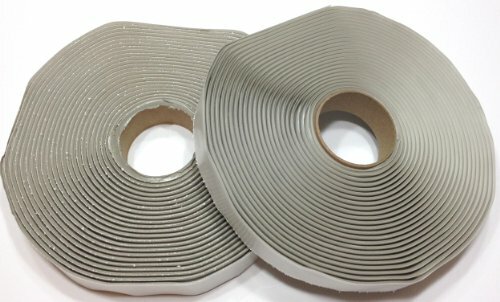 1/8" x 3/4" x 30' Gray putty / butyl tape. Commonly used behind the flange on windows and doors. Excellent sealing properties. Adheres to many products including metal and glass. Non-hardening material allows it to conform and stick to the items being sealed. If you have any questions about this product by DEHCO, contact us by completing and submitting the form below. If you are looking for a specif part number, please include it with your message. Stanley STHT33281 Lever Lock Tape Rule with Magnetic Tip, 25' x 1"